France won’t be able to sell the ill-fated Mistral warships, which were initially built for Russia, without permission from Moscow, Dmitry Rogozin, Russia’s deputy prime minister, said. “Without our permission they can’t sell anything,” Rogozin told the media, adding that he had already explained the situation to the French side. According to Rogozin, Russia has an end-user certificate for the stern parts of the vessels. 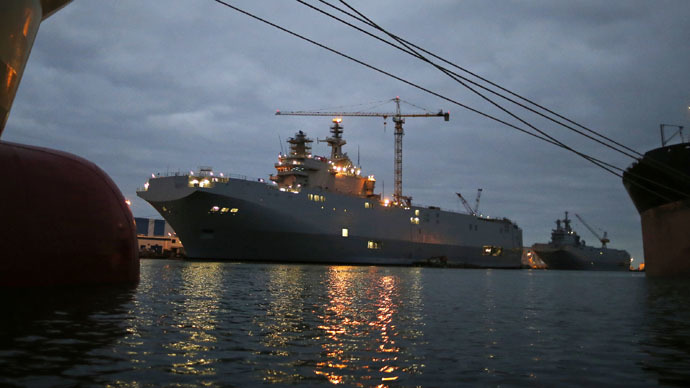 The stern parts of the helicopter carriers were built at a shipyard in Saint Petersburg before being moved to France for further assembly, he explained. Earlier this week, French Le Figaro paper cited an unnamed source who claimed that Paris was considering either selling the Mistrals to a third party or, in the extreme case, dismantling or even sinking them. 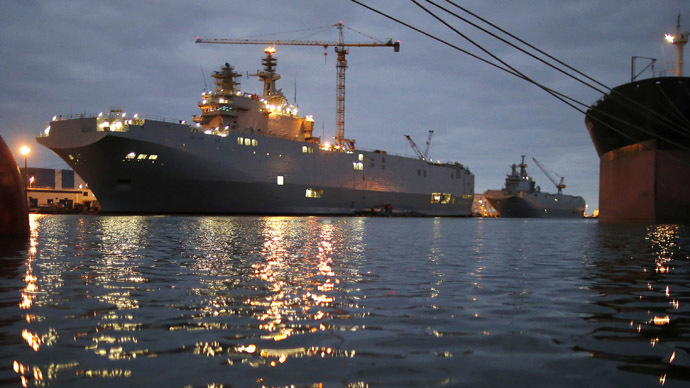 Russia and France signed a €1.12 billion contract to build two Mistral class amphibious ships back in 2011. Under the deal, Russia was supposed to receive the first of the two Mistral-class helicopter carriers, the Vladivostok, in October 2014 and the second, the Sevastopol, in 2015. But the mood in Paris changed. In mid-2014, the French side postponed the delivery indefinitely partly due to pressure from the US and the EU, which have imposed a set of sanctions against Moscow over its accession of Crimea and alleged involvement in the Ukrainian crisis. In late April, French President Francois Hollande acknowledged that Russia should get a refund if it doesn’t receive the Mistral ships. A decision on compensating Russia hasn’t yet been legally formalized, but the French media reported that Paris would return €800 million and pay €300 million more as compensation for additional expenses.